Each weekend, I will forage into my vintage board game collection to show you a truly embarrassing treasure. Recommended Ages: 8-14. Realistically, this game probably appealed to girls age 8-10, while the Jaclyn-Smith-in-a-bikini game piece appealed to boys ages 12 and up. Game Board: Better than most TV board games, since it featured real cast photos instead of vaguely related cartoon drawings. Game Pieces: Cool! 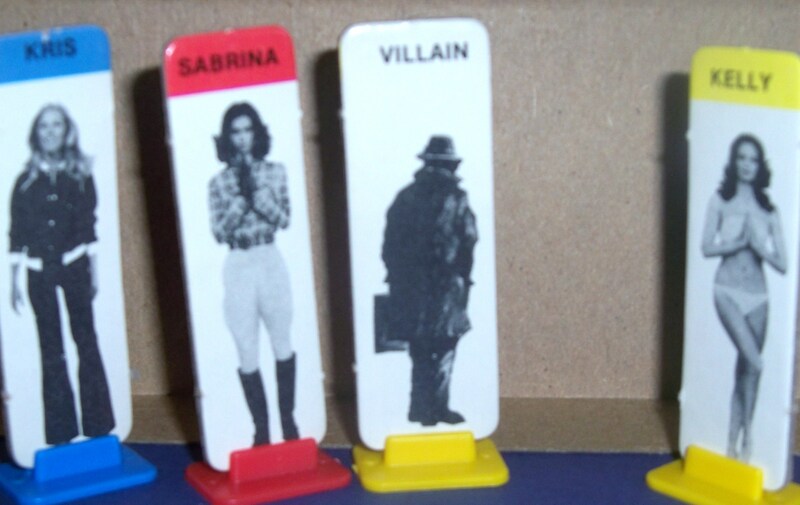 A team of actual Angels and a creepy villain beats colored plastic pegs any day. Personal Notes: I never owned this game as a child, but it was my go-to birthday party gift in third grade. Board games always made a respectable gift, and if a TV show was popular, its board game would produce a satisfying response from the birthday girl and her guests. Game Play: Whether the birthday girl would ever play the game was another matter. TV show games generally put the “bored” in board games, with simple “move 2 spaces forward,” “move 1 space back” instructions. 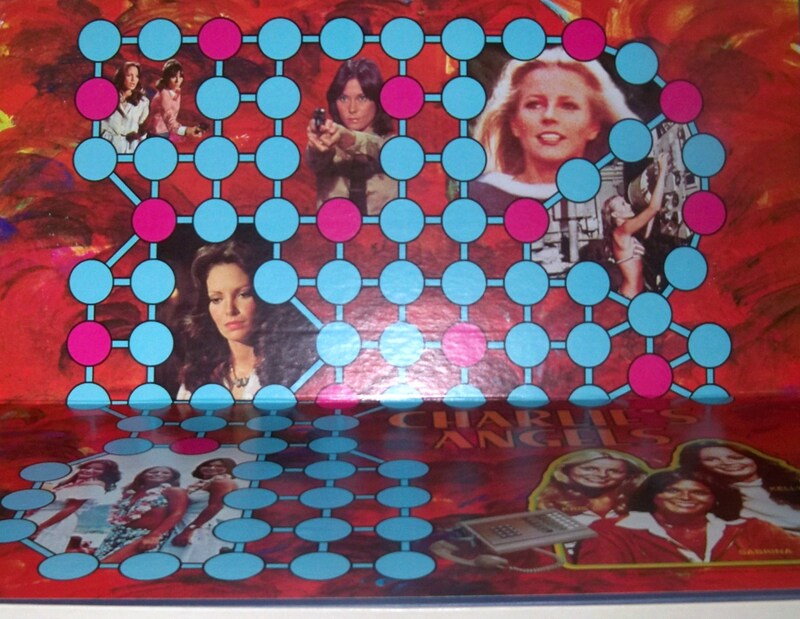 At least in the Charlie’s Angels Game, the object relates to the show’s crime-fighting concept. To win the game, however, you have to trap the villain THREE times. I forced my daughter to play this with me, but we gave up before trapping him even once. 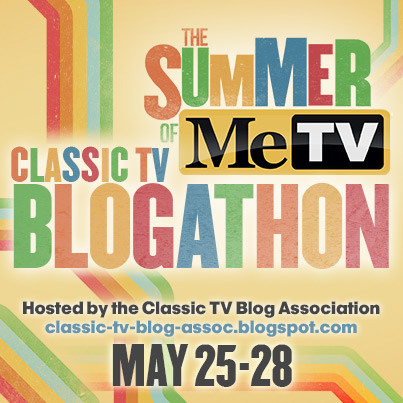 This entry was posted in Spin Again Sunday, Television, Toys and tagged 1970s, Charlie's Angels, Games, Nostalgia, Television, Toys. Love the retro treasures! Thanks for the like on my blog! Thanks for commenting on my blog! I really love your writing style.